March 16, 2018 – “What is going on just recently in the U.S. is a petition filed under the section of the law, the same that the U.S. steel and aluminum producers just apparently got some relief under. That has been filed on behalf of the uranium industry in the U.S. That is the political issue that is yet to be determined, but if that happens and that is successful, you are going to see, in my opinion, two tier pricing pretty soon where U.S. uranium could be worth 2 to 3 times the world price.” states George Glasier, President, CEO and Director of Western Uranium Corporation (CSE: WUC | OTCQX: WSTRF), in an interview with InvestorIntel’s Jeff Wareham. Jeff Wareham: George is not only the President and CEO of Western Uranium, but really quite widely recognized as being an expert in both the uranium and vanadium spaces in North America. George what is your thought on the state of the uranium market? It has been pretty tough for a long time. George Glasier: That is right. Ever since Fukushima we have seen the price decline to probably the lowest in dollars that it has been maybe ever. If you take the low prices we had back in the eighties and nineties and bring that up for inflation, we are probably at a low, but that could change. It is expected to change, but when is the big question. Jeff Wareham: Any of the political things going on right now do you think could impact that market? 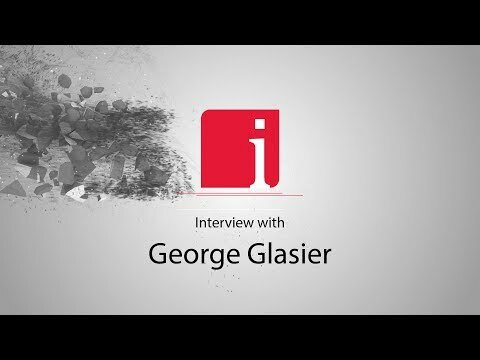 George Glasier: There are things that have gone on already that will impact the market given time. The Cameco cutback of production, the Kazakhs announcing they are cutting back, those things are going to influence the market. How long it takes, a year, two, three. What is going on just recently in the U.S. is a petition filed under the section of the law, the same that the U.S. steel and aluminum producers just apparently got some relief under. That has been filed on behalf of the uranium industry in the U.S. That is the political issue that is yet to be determined, but if that happens and that is successful, you are going to see, in my opinion, two tier pricing pretty soon where U.S. uranium could be worth 2 to 3 times the world price. Jeff Wareham: Good stuff. Vanadium, it has performed a lot different than uranium recently. What are we seeing in the vanadium market and what do you see moving forward?